Sometimes, you can get away with cheaping out on things. Paper plates - they just get tossed. Hairbrushes - does it really matter? What does matter is work footwear. 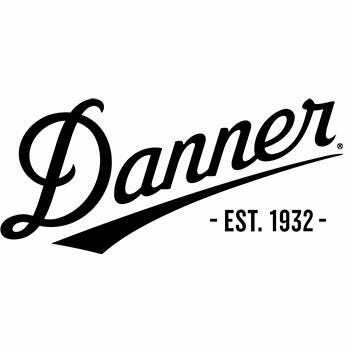 The Danner Men's 67200 Brown Canadian Waterproof Insulated Boots give you an array of features that ... (see full details) (see specifications) #DNN67200. Sometimes, you can get away with cheaping out on things. Paper plates - they just get tossed. Hairbrushes - does it really matter? What does matter is work footwear. The Danner Men's 67200 Brown Canadian Waterproof Insulated Boots give you an array of features that all add up to an excellent, cold-busting men's footwear that will last you for years. Although these Danner boots are called Canadian for their climate-busting properties, these brown boots are made right here in the USA. Danner uses full-grain leather for the uppers, so they are form-fitting to your specific foot and leg shape. The tough, waterproof, and breathable Gore-Tex lining blocks out wind and wetness. The 600 gram Thinsulate Ultra Insulation in these USA-made boots keeps you toasty warm in the winter's worst weather without weighing you down. These men's boots will last near forever, thanks to Danner's famous stitchdown construction that is also repairable and recraftable when time does finally take its toll. The patented Bob outsoles give you steady footing and superior traction in all conditions, and they're self-cleaning for easier movement. Sure, these Canadian boots are all toughness on the outside, but inside the waterproof boots, you'll find a molded polyurethane Airthotic insteps that cup your heels and support your arches, so you'll feel comfortable all day long. Fiberglass shanks hold their shape and lend durability without extra heaviness. This is something you really need to get right, or you will suffer in terms of back pain, cold feet, and more. The Danner Men's 67200 USA-Made Brown Canadian Waterproof Insulated Hunting Work Boots are one way to get it right. Please note all EEE sizes are made to order sizes only. These Danner boots are not kept in stock and will take approximately 4-8 weeks for delivery and insoles are not included. He has many different Boots/MADE IN AMERICA/these are the ones he likes the most. Comfortable = and gets the job done. When we re-order it will be this make/brand again. They wear well...Perfect for the out doors... The best gift I can get for him...Always !!! Danner Boots: Men's Brown 67200 Insulated USA-Made Waterproof Hunting Boots is being added to your cart.